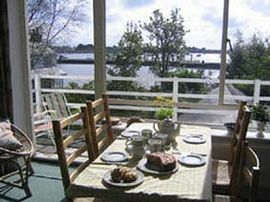 Westview Holiday Flat is a sunny spacious first floor flat in a detached house in the attractive village of Emsworth fifty yards from the foreshore of Chichester Harbour, an Area of Oustanding National Beauty. Views of the harbour can be seen from most of the windows in the flat. 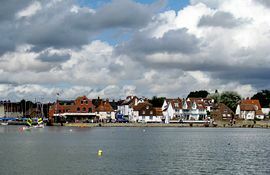 Emsworth lies between Chichester and Portsmouth and in the summer the harbour is busy with sailing and fishing craft and there are many coastal and country walks. The centre, is just over five minutes walk along the harbour wall, has many varied shops, restaurants and pubs. Its interesting history of boat building and oyster fishing is exhibited in the local museum. The Chichester Festival Theatre, Fishbourne's Roman Palace, Goodwood's horse and motor racing and Portsmouth's Historic Dockyard and Spinnaker Tower are all within easy reach. The Isle of Wight can be reached easily by car ferry, catamaran of hovercraft. 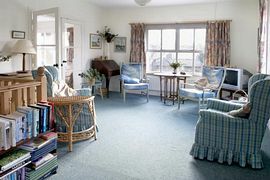 Westview consists of a small hall with stairs that lead to a large sunny sitting room, which faces south and west. Double doors open into the dining room with a fitted kitchen at one end and door to balcony. The bathroom, with bath and shower, is between the two bedrooms, one with a 4ft 6 double bed and the second has twin beds and a small single. Gas for hot water and central heating and electricity for cooker, microwave, toaster, fridge, kettle T.V. and iron are included in the rent. 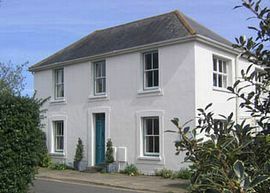 Very light, spacious and sunny flat with harbour views. Ideal for sightseeing, walking, sailing or bird watching. Towels and linen can be left for you to make up the beds which have blankets. As this is a flat no pets are allowed. Parking for one/two cars is available just outside the house off the road. There is a small morning Nursery school on the ground floor during term time. You can hear them from the flat but it is the busy noise from happy 3-4 year olds and not out of control children! Local Services: Emsworth's independent shops cater for nearly all needs. From the M27/A3 take the A27 Portsmouth - Chichester road but turn off on the A259 to Emsworth. After the Texaco garage turn right down Bath Road and No 60 is the third house on the left. Fast trains from London Waterloo run to Havant [2 miles] and Emsworth Is on the Portsmouth - Brighton line. Southampton and Gatwick Airports are within easy reach. Ferries run to France from Portsmouth. Winter November to March: £400.00. 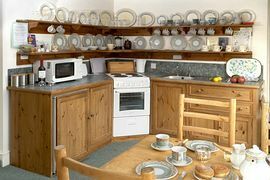 The flat is open all year, weekly Saturday bookings in high season but short breaks starting any day are available out of season.